Michigan school districts looking to lower the emissions of their transportation fleets are eyeing millions of dollars from the Volkswagen settlement to be used for electric buses. As part of a consent decree following the German automaker’s scandal involving its diesel vehicles, Michigan is in line to receive $60.3 million for an “environmental mitigation trust,” which is meant to offset the nitrogen oxide (NOx) emissions from vehicles involved with the case. Advocacy groups have been working with school districts in the region, including in Michigan, about potentially using some of that funding to purchase electric buses. The Michigan Department of Environmental Quality has released a draft plan for spending the money over 10 years by replacing a variety of vehicle types, zero-emission vehicle infrastructure and staff. About half of the proposed spending — $32.3 million — would be for replacing 323 government-owned school buses over the 10-year period. “We think that’s a really positive thing for a number of reasons,” said Susan Mudd, senior policy advocate for the Chicago-based Environmental Law and Policy Center. The ELPC has been informing Midwest school districts about the settlement fund opportunities, and has identified at least 17 Michigan districts interested in electric buses for their schools. 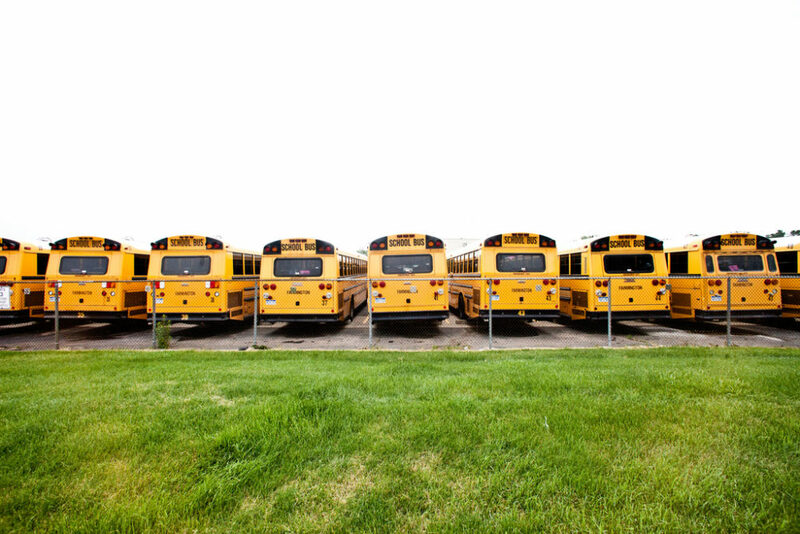 Mudd pointed to the roughly 700,000 Michigan K-12 students who ride in buses every day and who have greater risk to exposure from diesel exhaust. Debbie Swartz, who is overseeing the process at the DEQ, said the money could qualify for a variety of fuel-switching technologies, including compressed natural gas and propane. Mudd said her group’s focus is specifically on electric vehicles. Also under Michigan’s draft plan, $11 million would replace various other freight vehicles, $8.4 million would go toward zero-emission vehicle infrastructure and $6 million for staff. About $2.3 million will come as a match from the federal Diesel Emissions Reduction Act. Groups like the ELPC have since been able to submit comments on the DEQ’s draft plan. However, Swartz said the state is still waiting on final approval for a trustee of the Volkswagen settlement money, and therefore the state is in a “holding pattern” until a final proposal can be made. She said it’s also uncertain how school districts would receive funding under the program and whether the state legislature will play a role in overseeing the distribution of funds. In Minnesota, for example, advocates are already concerned about legislative actions jeopardizing settlement funding. Swartz said the DEQ has been working closely with the Michigan Agency for Energy on identifying technologies to meet different areas’ needs. For public school districts already in precarious budget situations, cost has been and remains the biggest barrier to electric bus adoption. David Meeuwsen, transportation director for Zeeland Public Schools in west Michigan, said the district has been converting diesel buses to run on propane for the past 5 to 10 years. District officials have encouraged him to seek out grants or other funding sources for electric buses. The district has 57 buses in its fleet and replaces four or five a year. He added that a conventional bus costs roughly $100,000 compared to the $300,000 price tag on an electric bus. Mudd says pilot programs at areas in California, Massachusetts and New York City were already underway before the Volkswagen settlement. But a silver lining in the scandal may be giving a jump-start for districts looking to reduce their emissions on the transportation side.